ROME — Edin Dzeko is hitting top form at the right time for Roma. The Bosnia-Herzegovina forward scored one goal and set up another on Friday as his side won 3-0 at bottom club Chievo Verona. Dzeko, who also hit the crossbar, has now netted twice in three league matches, having failed to find the net in his previous nine. 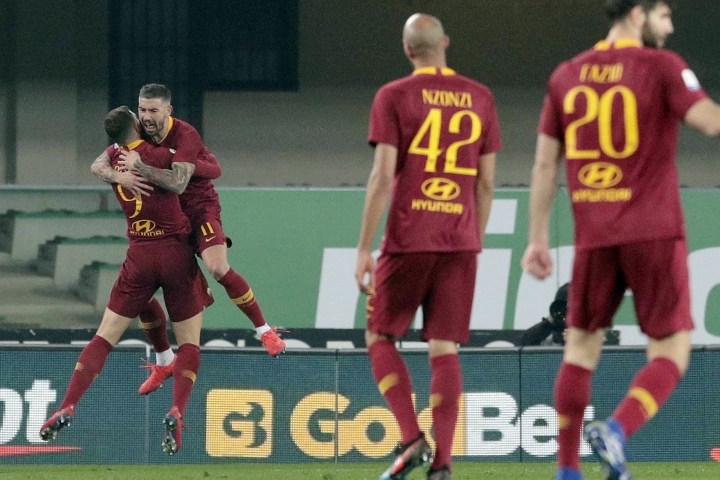 Stephan El Shaarawy opened the scoring in the ninth minute and Dzeko doubled Roma's lead in the 18th with a delightful goal, feinting past one defender on the byline before nutmegging another and firing an angled drive into the corner. The two scorers then combined for Roma's third goal six minutes into the second half. El Shaarawy raced down the left on the counter and picked out Dzeko, who set up Aleksandar Kolarov. El Shaarawy also hit the woodwork after being set up by Dzeko. Roma is fourth in Serie A, the final Champions League qualifying berth. AC Milan can move back above the capital side, though, with a win over Cagliari on Sunday. "Every year the fight for a top-four finish is hard, maybe this year there are more teams in the running," Dzeko said. On Tuesday, Roma meets Porto in a Champions League round of 16 first leg. "For how he made the whole team play today, Edin deserved another goal. I hope he's keeping it for the Champions League," coach Eusebio Di Francesco said. 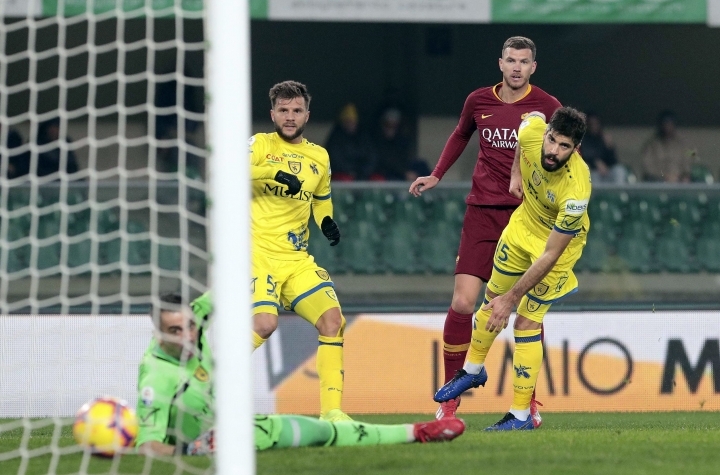 Chievo remained nine points from safety.